A high content of noncoding RNA in the total bacterial RNA significantly impedes analysis of their transcriptome using standard approaches, i.e., full-scale sequencing, analysis of gene expression profiles, and subtractive hybridization. A method of preparation of bacterial cDNA for transcriptome analysis is proposed that includes a depletion of the excess of rRNA and tRNA copies with the preservation of the relative abundance of transcripts. The method is based on the kinetics of DNA hybridization and the unique features of duplex-specific nuclease from the Kamchatka crab. The efficiency of the method was confirmed in a number of model experiments. Original Russian Text © E.A. Bogdanova, I.A. Shagina, Yu.G. Yanushevich, L.L. Vagner, S.A. Lukyanov, D.A. 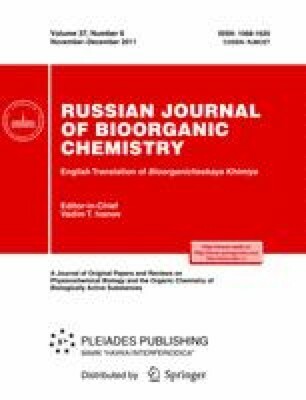 Shagin, 2011, published in Bioorganicheskaya Khimiya, 2011, Vol. 37, No. 6 pp. 854–857.